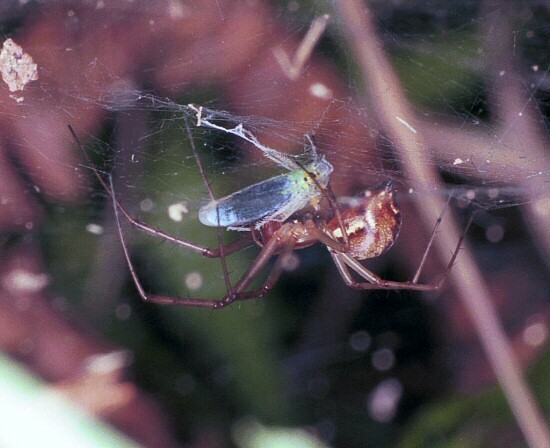 Agelenidae and Stiphididae construct a horizontal web with a funnel. 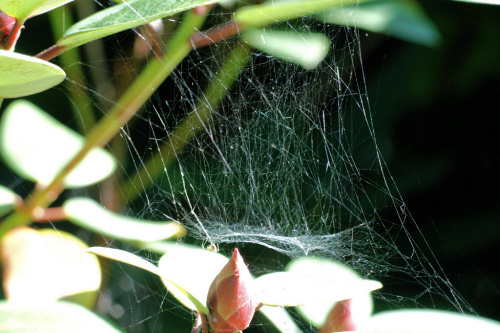 This retreat ends up in the horizontal web. If a prey falls on the sheet the spiders crabs it. Prey is than dragged into the funnel for consumption. 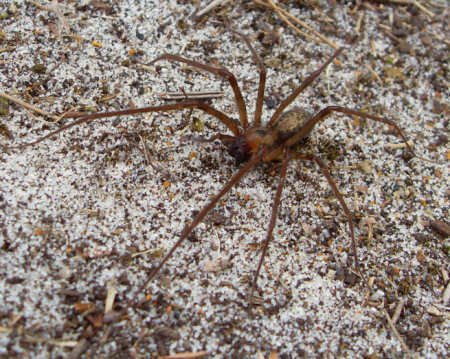 The European house spiders belong to the Agelenidae. 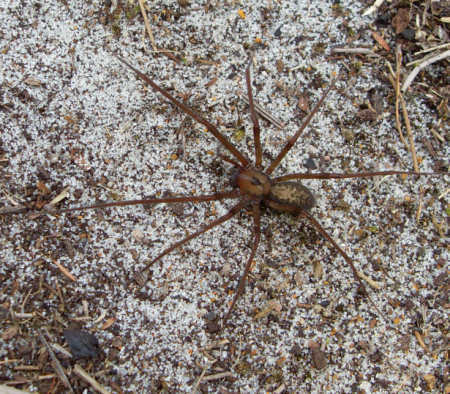 In Europe 28 species belongs to this family while in Australia, only one species is described. Linyphiidae has 30 described species in 18 genera and Stiphididae, a family that is unknown in Europe, has six genera with 12 known species. 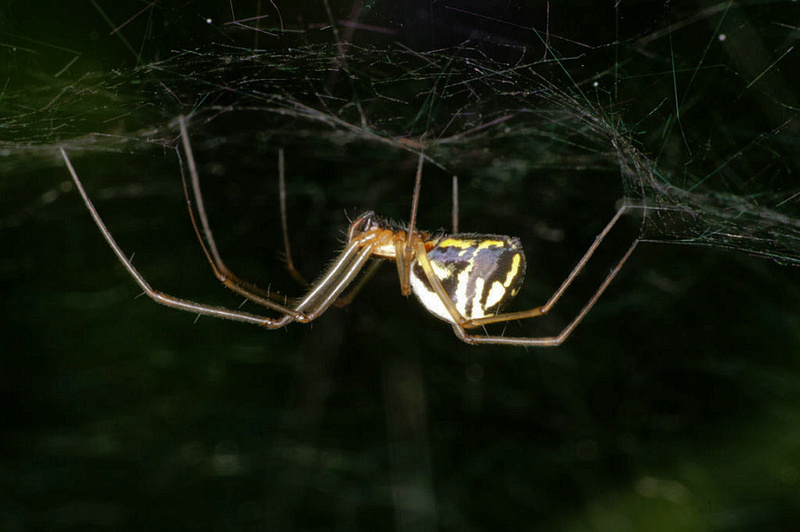 The Linyphiidae make a sheet web without a funnel. Above the sheet web vertical threads are spun in which prey fly fall down on the sheet web. 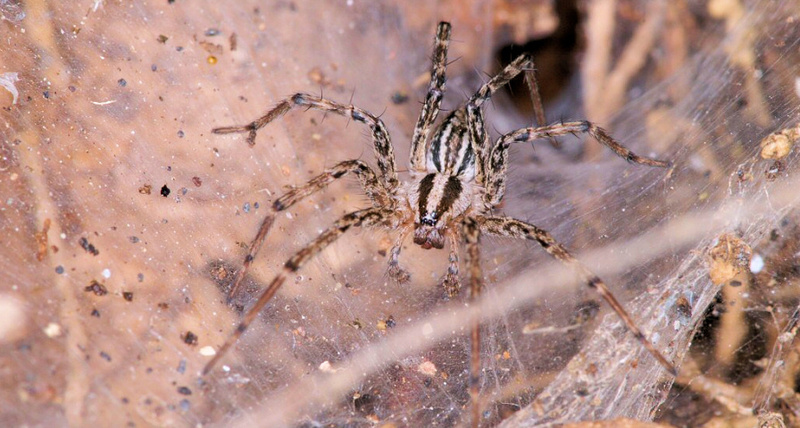 Linyphiidae spiders hangs upside down below the web, run upside down to the prey that fell on the sheet web and grab it throught the web. Sorry, no Australian species found yet .